For the wildlife enthusiast travelling light can be a real challenge. While you don’t want to lug around too much heavy equipment, you also don’t want to compromise too much on getting the best views of the wildlife you encounter while you’re away from home. The main concern, of course, is optics. A quality, lightweight pair of binoculars is perhaps the single most important piece of wildlife related gear to pack for any expedition. But if you’re planning on toting a lightweight spotting scope with you to get good close up views you’re also going to need a decent compact tripod to mount it on, and a bag to carry your scope, tripod and binoculars with you. 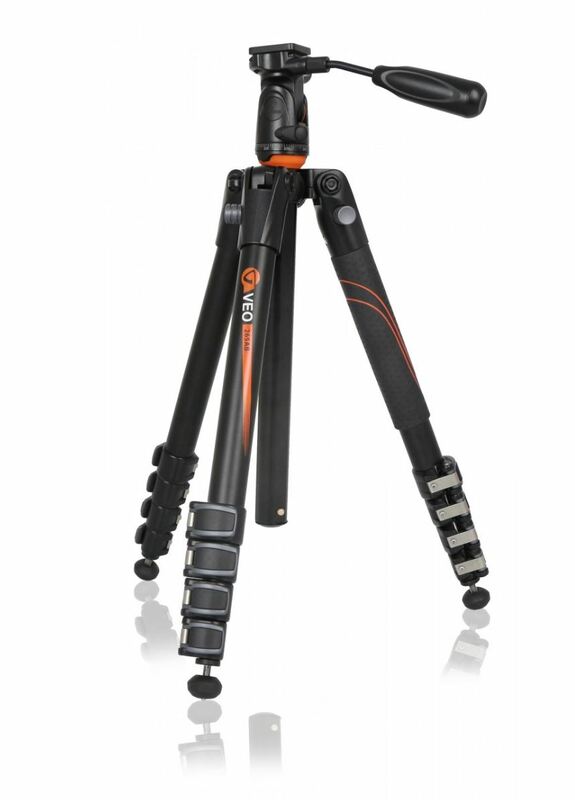 Enter Vanguard’s impressive new VEO range of compact travel tripods, monopods and bags. When I received the new VEO 235AP Tripod for review I couldn’t believe how small and light it was. This thing is tiny. Five aluminium alloy leg sections (four leg clamps), and an innovative rotating centre column means it packs down to a very portable 378mm and weighs in at just 1.5kg. I had two immediate concerns — the first, could something that collapses so small really extend to a usable height for comfortable viewing standing up, and the second would it be able to provide a stable platform for effective use with a spotting scope? I was pleasantly surprised on both counts. Fully extended with the central column raised the tripod presented an angled scope at a comfortable height for my 6’4″ frame. Even with the centre column all the way up the tripod’s 23mm diameter legs provided a very stable platform with minimal flex and vibration — much better than I was anticipating. I’m often sharing a scope with other users on our Discover Wildlife Experiences, and often need the scope a little lower than I would usually have it. In this instance, with the centre column down, the VEO 235AP provides a really stable platform at a useful height for most people. With a small 50mm travel scope or medium sized 65mm scope attached it’s superb, and to my surprise the tripod also remained remarkably serviceable and steady with my full size 82mm scope attached. I won’t be swapping it for my full size tripod for day to day use any time soon, but its useful to know it will cope with a full size scope in a pinch. The pan head provided with the 235AP is very smooth. At first I found myself trying to twist the handle to loosen and tighten the head, but it doesn’t work that way. There are two seperate levers, one to tighten and loosen the head on the vertical tilt axis, the other to control resistance of the fluid horizontal pan. Once you get used to it having seperate control over the resistance on the two axis is perhaps a better system, allowing you the freedom to pan freely left to right, but with a bit more control over vertical movement. It’s ideal for seawatching / scanning large open areas for wildlife. The head comes with an arca-swiss style quick release plate that makes it quick and convenient to attach and detach your scope / camera. Build quality seems excellent — everything from the quick-release leg-locks to the centre column controls and the pan head feel well made and work flawlessly. Secure rubber feed provide stable purchase on hard ground, and screw up to reveal handy metal spikes for use on softer substrates. Legs can be adjusted to three separate angles to accommodate a wide range of terrain and height requirements. 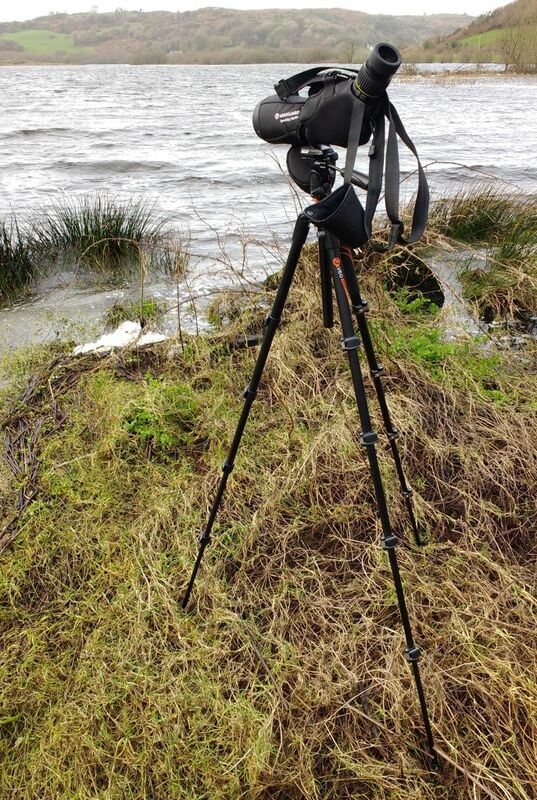 The VEO 235AP is an excellent all-round travel tripod and I’d have no hesitation recommending it for wildlife observation on the move. For photographers the tripod also comes in a ball head version (235AB) that may suit your needs a little better. 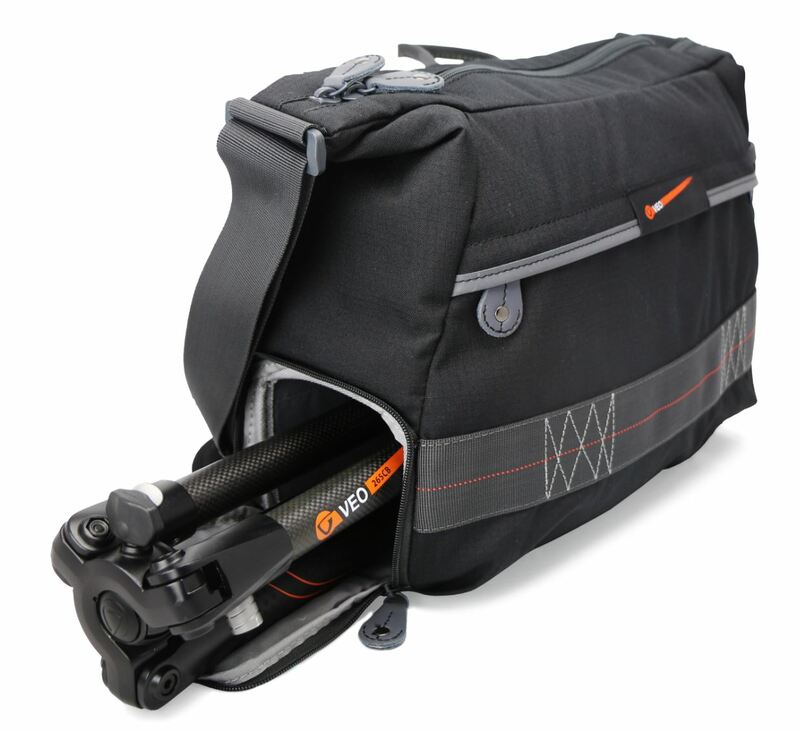 The VEO 37 bag is designed to complement VEO tripods. An insert for the bag creates a neat compartment at the bottom that your folded VEO tripod can slip into via a convenient side zip (see photo). With the tripod stored there’s room in the top of the bag for a camera and lens OR a spotting scope, barely, but very little else. So you can use the bag to transport your tripod and scope / camera, but will need another bag for any additional gear. If you choose not to carry / store your tripod in the bag (you can always strap it to the underside using the webbing loops provided), padded inserts allow you to configure the inside to hold your photography gear or optics safe and sound, or you can use it without the inserts, as I generally did, as an easy to carry all-purpose day bag. The side water bottle holder is a nice touch, and the included rain cover is a handy addition to keep everything dry during those Irish summer showers. For serious travel I’d probably choose a larger bag with room for all my essential gear — like the excellent Vanguard Heralder 38, but as an all-round day bag for carrying in the field I find the VEO 37 to be ideal. If you’re looking for lightweight portable travel support solutions for your optical or photographic gear, and a complementary bag for safe storage and transport Vanguard’s new VEO range is well worth considering. Check out the Vanguard VEO range on Amazon here.